Children s drug-related hospitalizations: No, not from those drugs from yours! A new review article in the journal Pediatrics by a group from the CDC analyzed children s ER visits and hospitalizations for toxin ingestion. The astounding conclusion is that about 9,700 such ingestions result in hospital admission each year (between 2007 and 2011) and the majority of the kids are under two years old. 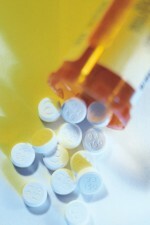 Other commonly-ingested pills include blood pressure medications and tranquilizers (valium, xanax). In total, analgesics actually are the leading cause of medication poisonings called in to poison control centers, with an amazing 322,000 such reports in 2012. Other substances so incriminated in almost as high levels include personal care products (over 200,000), laundry detergents and dishwashing packets (over 10,000) and caffeinated energy drinks (over 3,000: a vast under-estimate, since being entirely unregulated as a supplement, no reports of such poisoning are required). Alcoholic beverages, paint and thinners, pesticides, whatever: any and all of these can and have been poison-sources with both hospitalizations and, uncommonly, deaths resultant. ACSH s Dr. Gil Ross had this comment: Parents and other guardians of infants, toddlers and pre-schoolers must be more responsible: these numbers bespeak a veritable epidemic of childhood poisoning not seen since the Pied Piper led Hamlin s youth to their demise centuries ago. In our ultra-modern society, this carnage must be relegated to the dustbin of history as soon as possible. Adults must keep medicines out of reach, and make sure the childproof cap is secure. All pills must be accounted for: kids find lost pills on the floor, the sofa, in crevices anywhere. They should educate their charges about what is OK and what is not OK to touch and smell. As for other household toxins, cabinets must be childproofed if they contain pleasant-smelling liquids.